Extensive dental expertise, truly state-of-the-art, and the best locations in Manila. Dental World Manila embodies all these, with clients guaranteed to experience and enjoy every such aspect with every service. 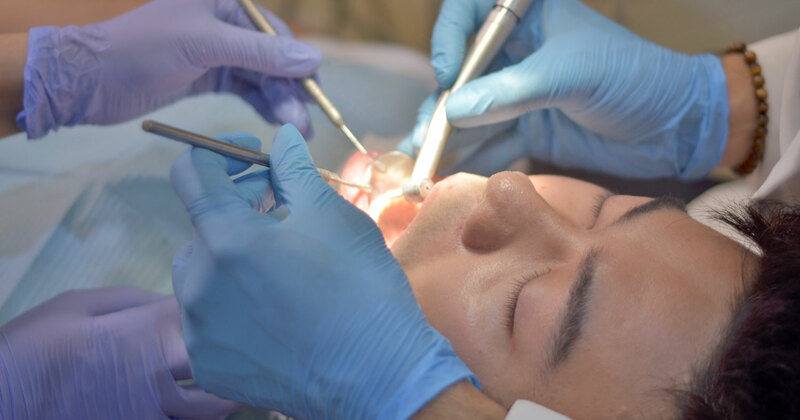 Headed by Dr. Malony L. Santos of St. Luke’s Medical Center, the Philippines’s foremost hospital, Dental World Manila is your hub for comprehensive and highly specialized dental treatments, such as cosmetic dentistry, dental implants,TMJ, and periodontics, among others. We have catered to high-profile clients, as well as returning Filipinos and foreign travelers who visit the country just to get the best dental treatment. You can call them ‘dental tourists’ and they’ve chosen Dental World as their primary destination with great fulfillment. Most likely, our satisfied clientele has come to trust us for all these reasons. Make an appointment at our clinic, so you can also enjoy the highest quality and most complete dental service that you seek. Dental World Manila is the consolidated brand name of 3 dental centers headed by Dr. Malony L. Santos. The first one is MLS Dental Clinic, established in 1996 at St. Luke’s Medical Center in Quezon City, where Dr. Santos started his practice. The second is the ML Santos Dental Cosmetics and TMJ Center at the SM Mall of Asia in Pasay City. This clinic was established in 2006 by Dr. Santos with a friend who is now based in Australia. The third clinic is the Glorietta Dental Center in Makati, which Dr. Santos bought from a dentist who had migrated abroad. In July 2012, Dr. Malony placed the 3 clinics in one name, with all shares now owned by him. The trademark “Dental World Manila” has been registered at the Intellectual Property Office of the Philippines, but ML Santos Dental Cosmetics and TMJ Center remains as the trade name of the 3 clinics registered at the Department of Trade and Industry. Dental World Manila is proud to have as its clients prominent business executives, politicians, and showbiz personalities. It also has made loyal customers out of balikbayans and dental tourists from the US, Australia, Guam, Canada, Norway, Germany, Italy, France, and Switzerland, among others. Our vision, mission, and values are focused on making patients happy and satisfied through exceptional quality work and 100% professional service.